Ok, who has completed their taxes and now has lots of papers to shred? Well folks in Montgomery County listen up, you are in luck! NBC Washington & PNC Bank are at it again. They have announced their next wildly popular Community Shred. The spring Community Shred takes place on Saturday, March 24, 2012 at Montgomery College Rockville Campus. Here are the details… The event takes place from 8am – 11am. Cars must be in line by 11am or they will be turned away. So come early. You may bring up to (5) five boxes of personal papers for shredding (no CDs or credit cards). 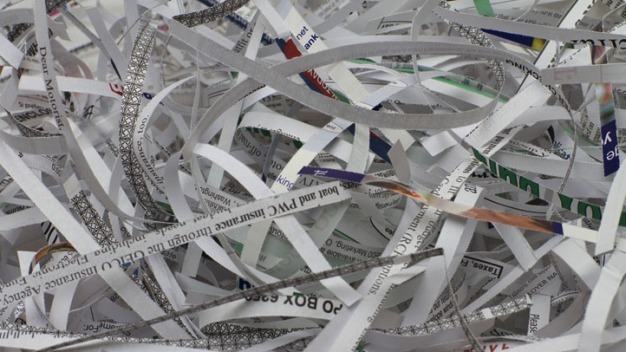 Shredding is the best way to recycle (friendly for the environment) your personal papers and is the best way to protect your identity. To keep this event safe and secure for everyone, please DO NOT BRING these items: batteries, flammables, combustibles, electronic equipment (hard drives), media materials (DVDs, CDs, Tapes), binders, hanging files. If you have all of these types of good things to recycle, fear not. The Montgomery County Transfer Station recycles almost everything and anything AND is only 2.2 miles from the Montgomery College Campus. Guide to friendly recycling in Montgomery County. Now that is what I call safe and environmentally friendly spring cleaning!